The 2019 China (Guangzhou) International Game & Amusement Exhibition (CIAE 2019), is one of the most important themed exhibitions of the 2019 Asia Amusement & Attractions Expo. 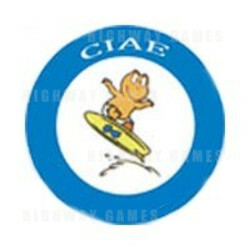 CIAE holds a leading position in the amusement industry, with leading amusement brands participating in AAA every year. Notable brands include SEGA, NAMCO, TAITO, ZONE LASER GROUP, Hankook Leisure, Suzo-Happ, Coin Tech, Wahlap, Golden Dragon, UNIS, Baohui, Mecpower, Huatong, Wecom and many more. CIAE has attracted over 600 exhibitors and 15 thousand visitors, including 4000 abroad buyers and an overall intent turnover of more than 2 billion yuan. After 14 years of development and growth, CIAE holds the leading position in the amusement industry, with it growing to be the best platform for manufacturers to display their products and the first choice for buyers to purchase quality products or look for business partners.